This is a sure winner at the road race, Form meets function. 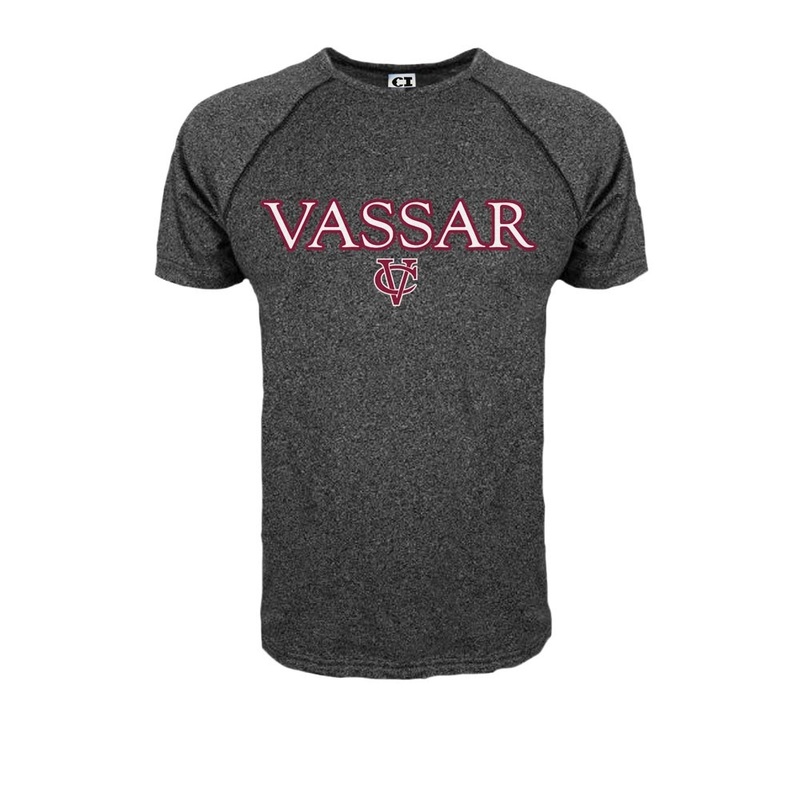 Rear lower pocket and bold Vassar Graphics make this the perfect shirt for your cycling needs. Please select option for ADRENALINE CYCLING SHIRT. 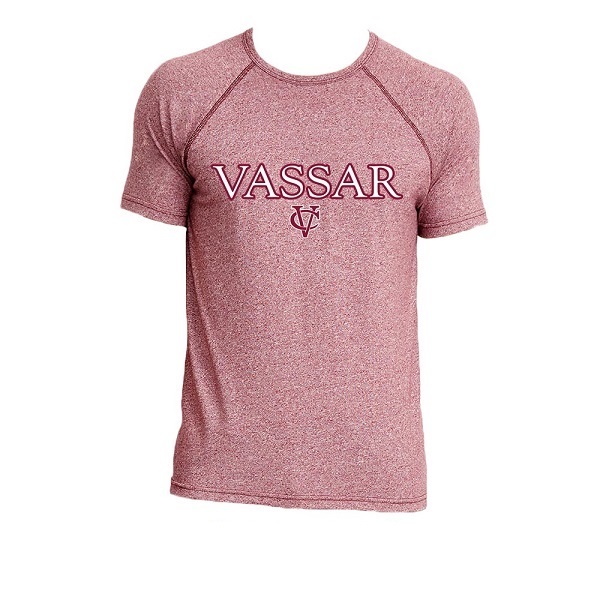 BADGER Maroon Softlock T shirt, Features performance fabric and UVA/UVB protection SPF 50+, we also carry the matching youth T shirt. 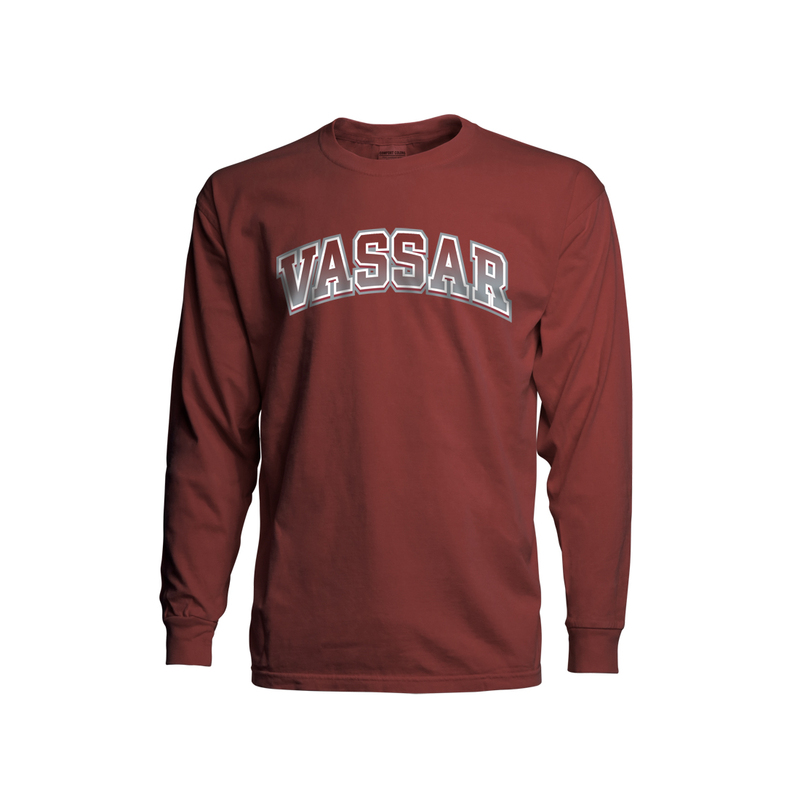 The two color print is a perfect compliment to the maroon fabric. We also carry a youth version to match! 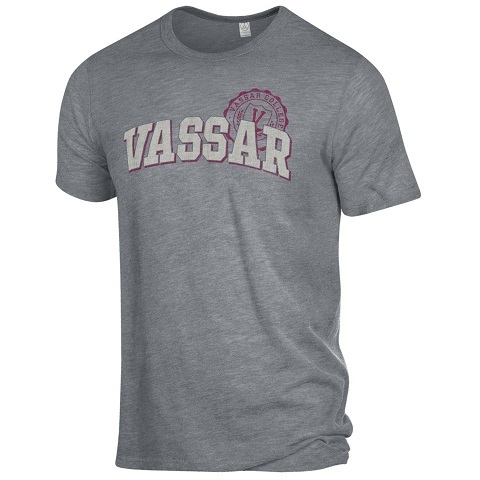 Please select option for BADGER MAROON SOFT LOCK MENS T.
This soft gray Short Sleeve shirt features a gray on gray design with a hint of maroon. 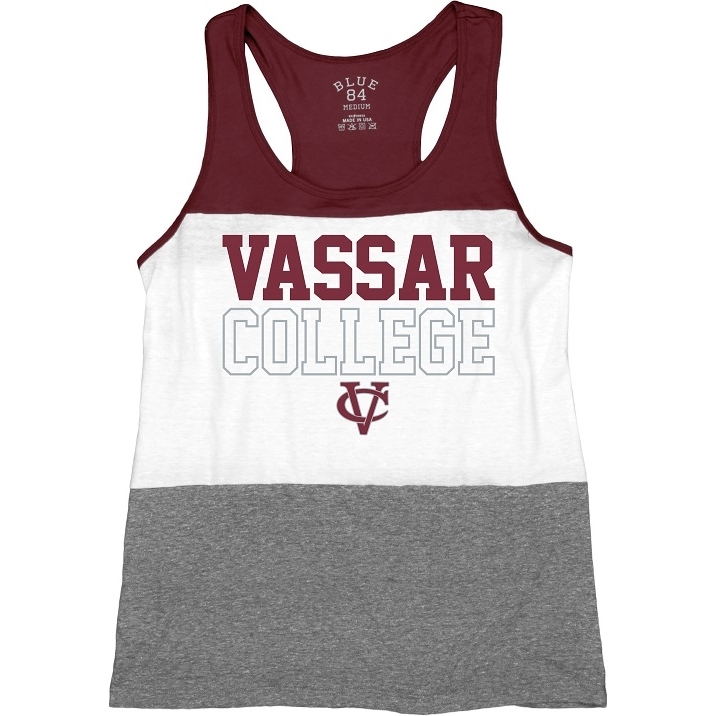 it's 100% polyester content makes it a perfect workout shirt. 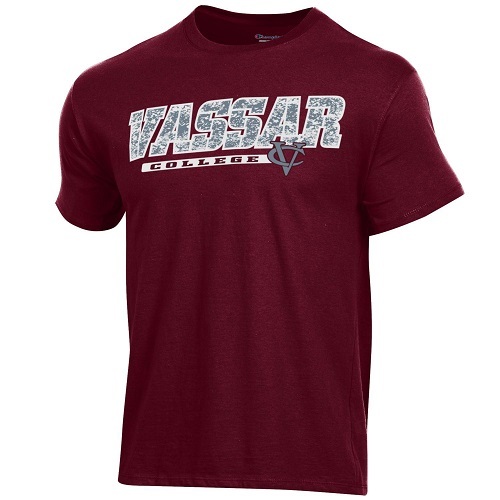 Please select option for CHAMPION ATHLETIC SHORT SLEEVE SHIRT. 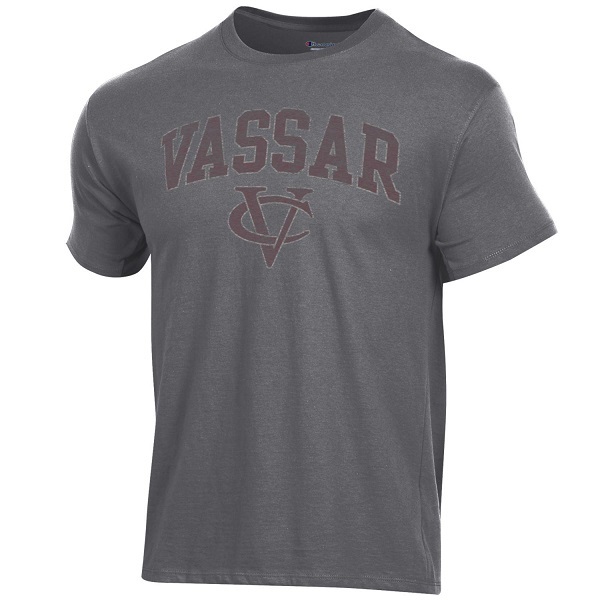 Please select option for CI SPORT MENS GREY SS T.
Please select option for CI SPORT MENS MAROON SS. 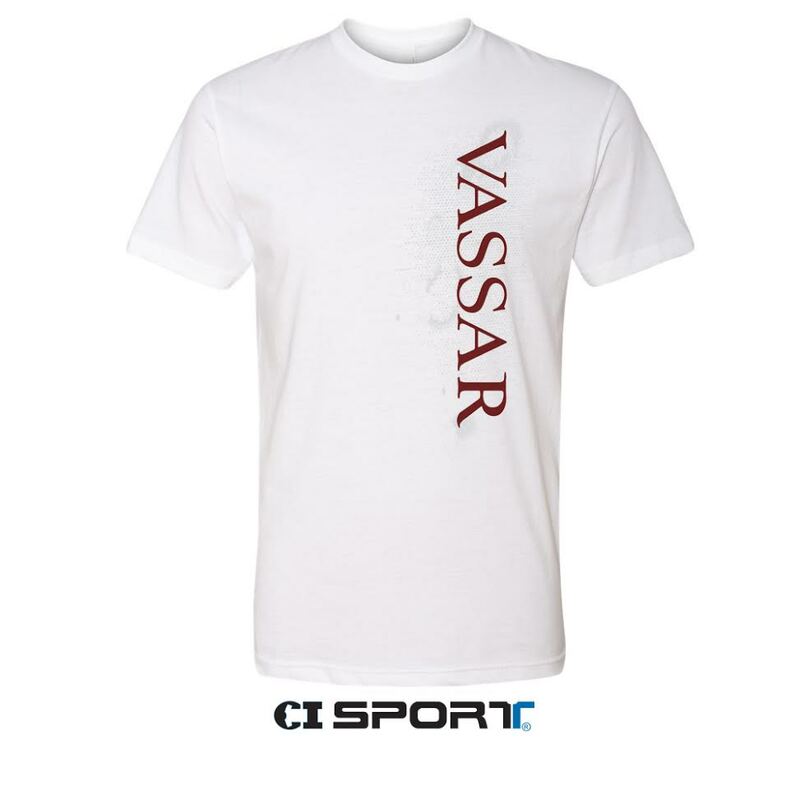 Please select option for CI SPORT VASSAR DAD TEE. 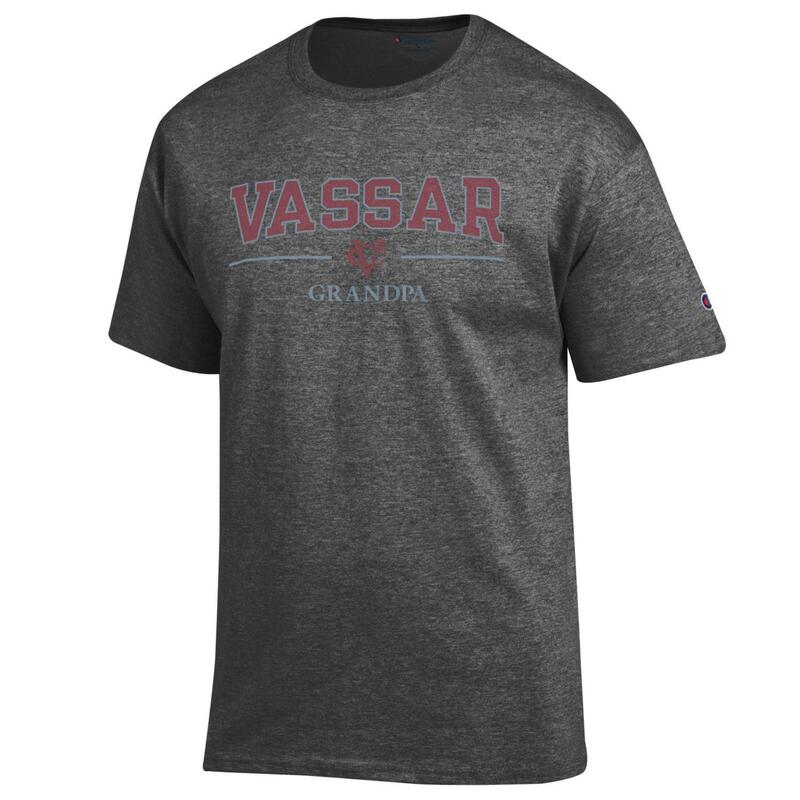 Please select option for CI SPORT VASSAR GRANDPA. A specialty wash creates variations and softness in this fabric making each one unique. 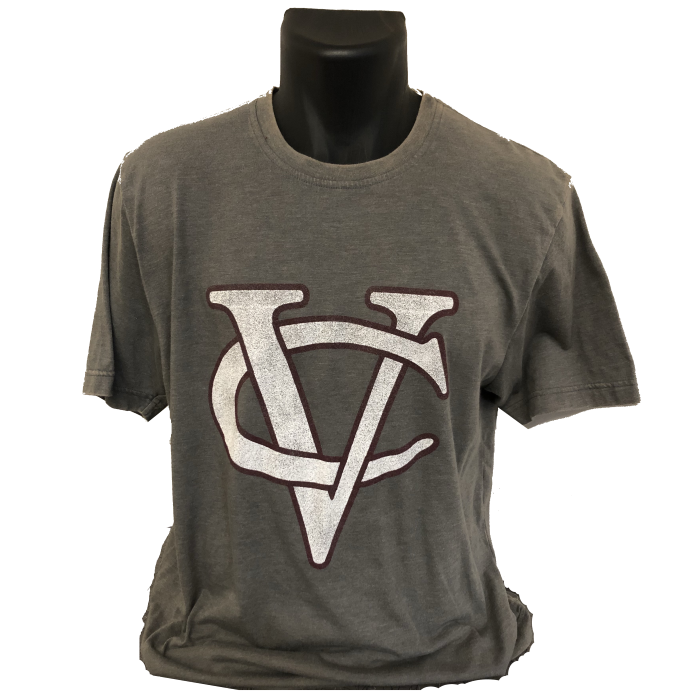 the distressed screen print looks great against this gray Short Sleeve Tee. Please select option for GEAR OUTTA TOWN GREY WASH SS TEE. Please select option for GREG NORMAN MENS 1/4 ZIP. 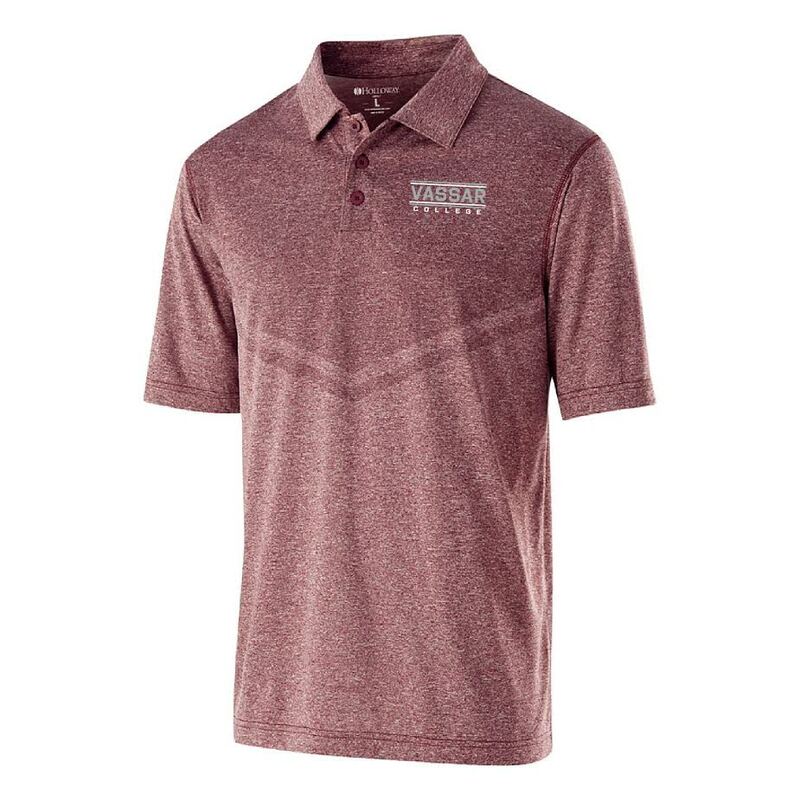 Please select option for GREG NORMAN MEN'S PINK POLO. Please select option for GREG NORMAN STRIPED NAVY POLO. Please select option for GREG NORMAN WHITE STRIPED POLO. 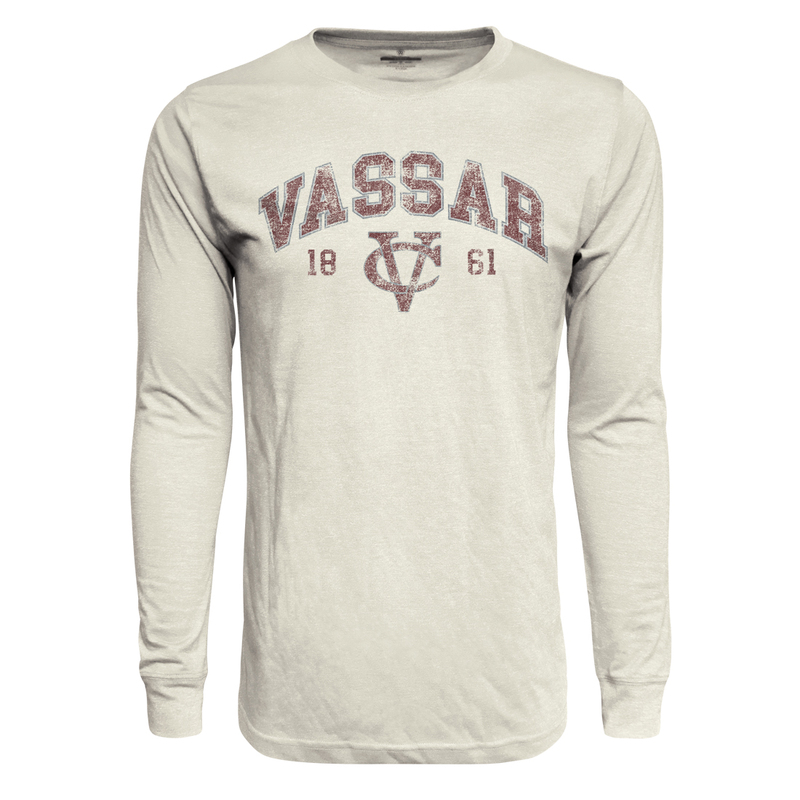 The Vassar Main Building is the centerpiece of this vintage look and feel tee. 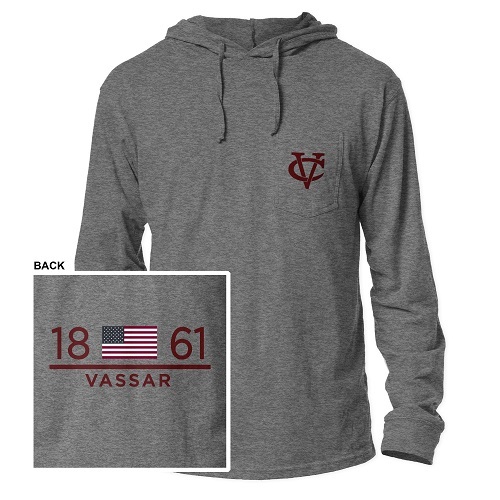 Our designer used the iconic building as inspiration for this heather gray and heather Maroon tri blend tee. 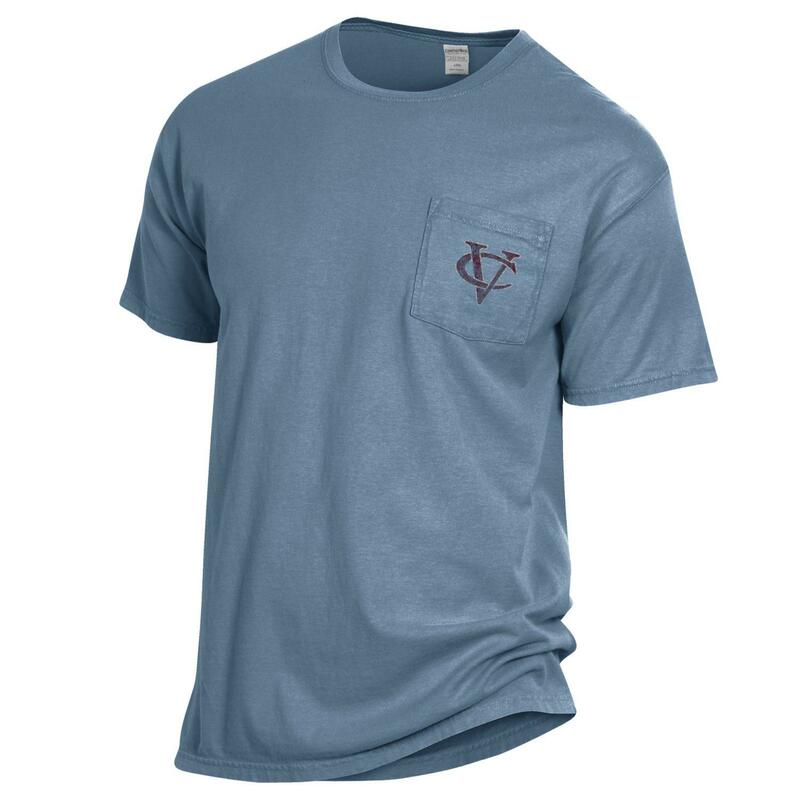 Exceptional softness and lightweight, the 50/37/13 cotton/poly/rayon blend will only get more comfortable and soft with each washing. 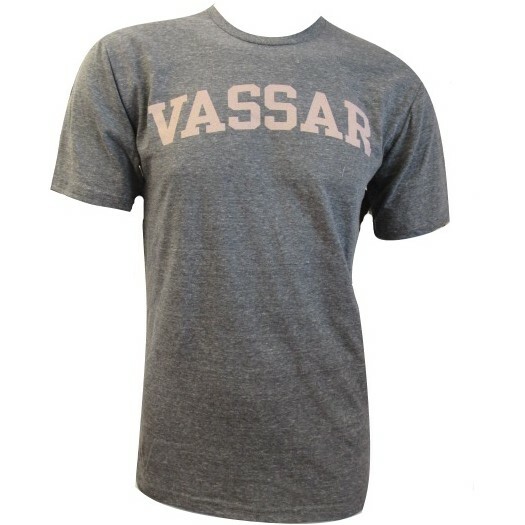 Available in the larger men's sizes, this tee will make a great lounge or nightshirt for the girls. Please select option for HOLLOWAY MEN'S ROTATE SHIRT. Please select option for HOLLOWAY SEISMIC POLO. 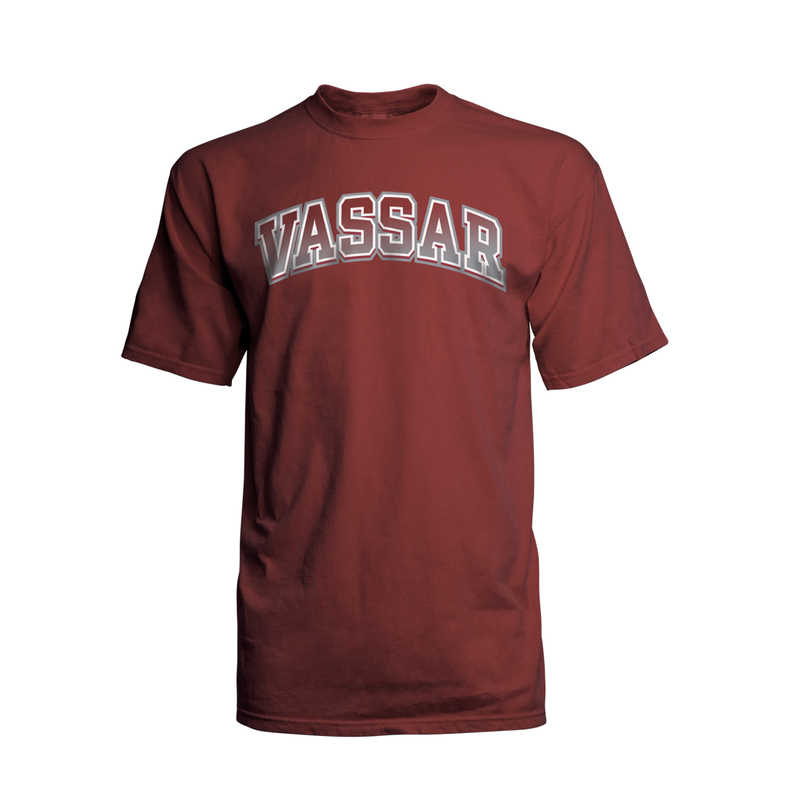 This short sleeve shirt features the doors of Vassar by PHD designs. 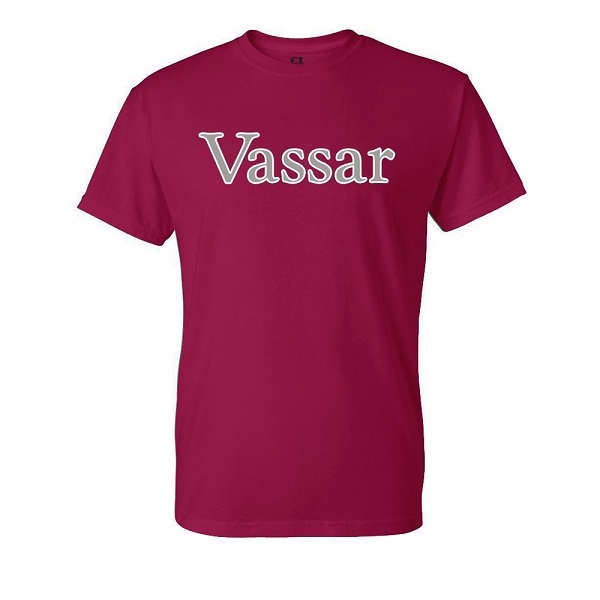 This exclusive shirt makes the perfect gift! 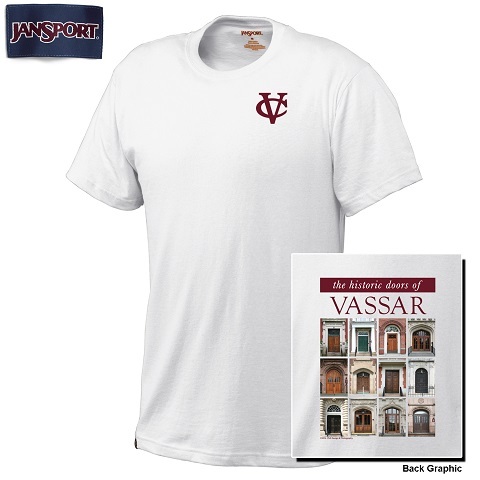 Please select option for JANSPORT ARCHITECTURAL DOORS OF VASSAR. 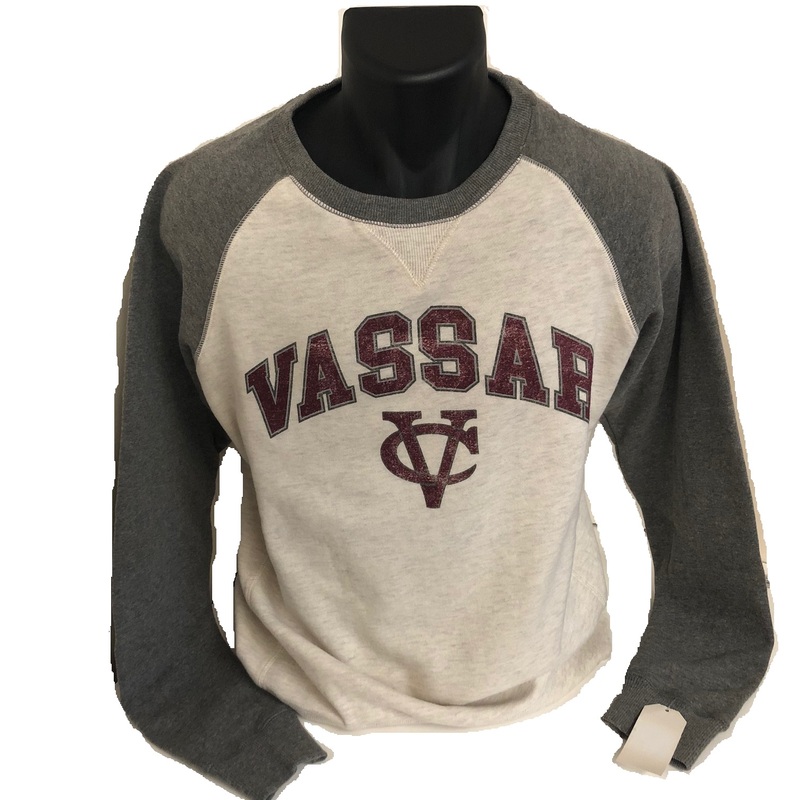 We love to find 100% cotton Tshirts and this LEAGUE long sleeve tee will have you coming back fro more. 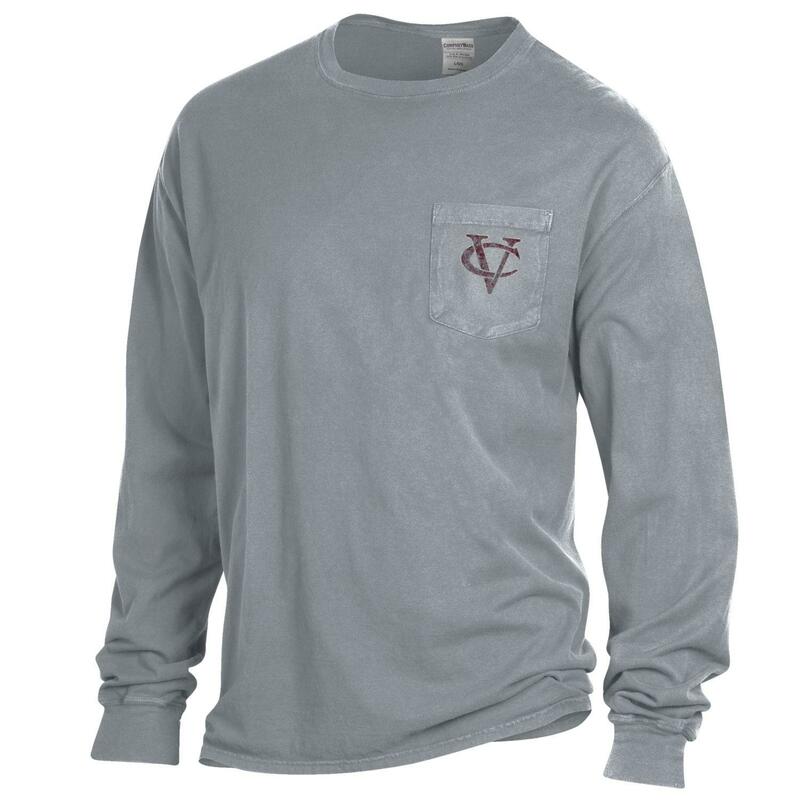 The logo is perfect on the Ash color fabric. 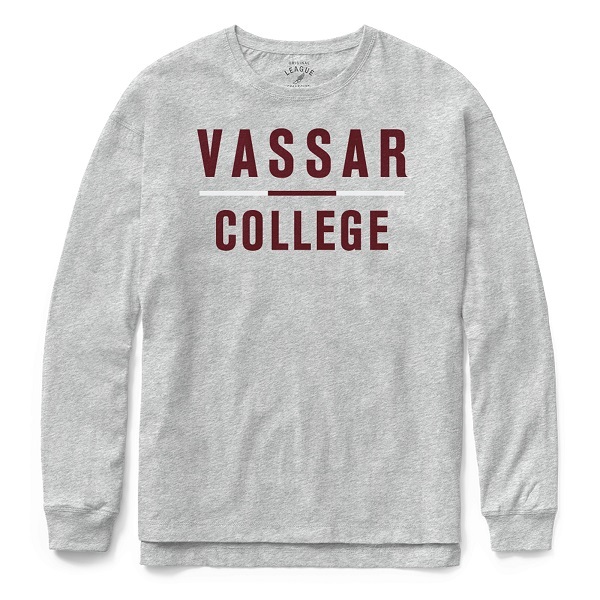 Layer it or wear it alone, it will be one of your favorites. Please select option for LEAGUE LS CLOTHESLINE COTTON. 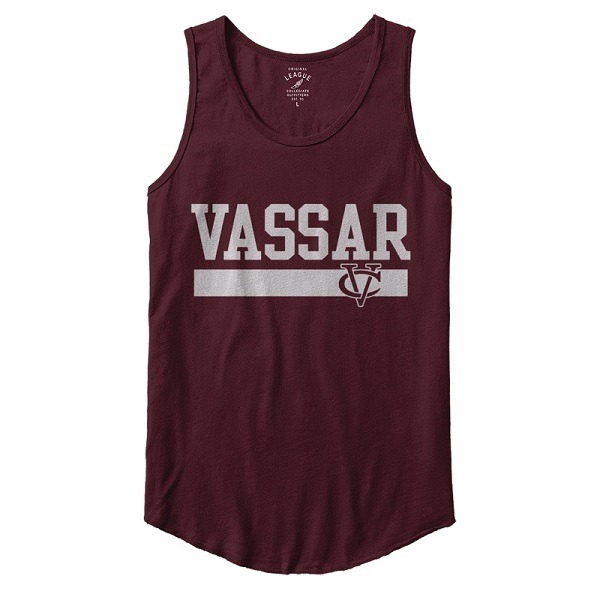 100% cotton, this is the Tank you have been waiting for. Clean design and a great fit. Layer it or wear it alone. We have a limited supply! Please select option for LEAGUE ALL AMERICAN TANK. 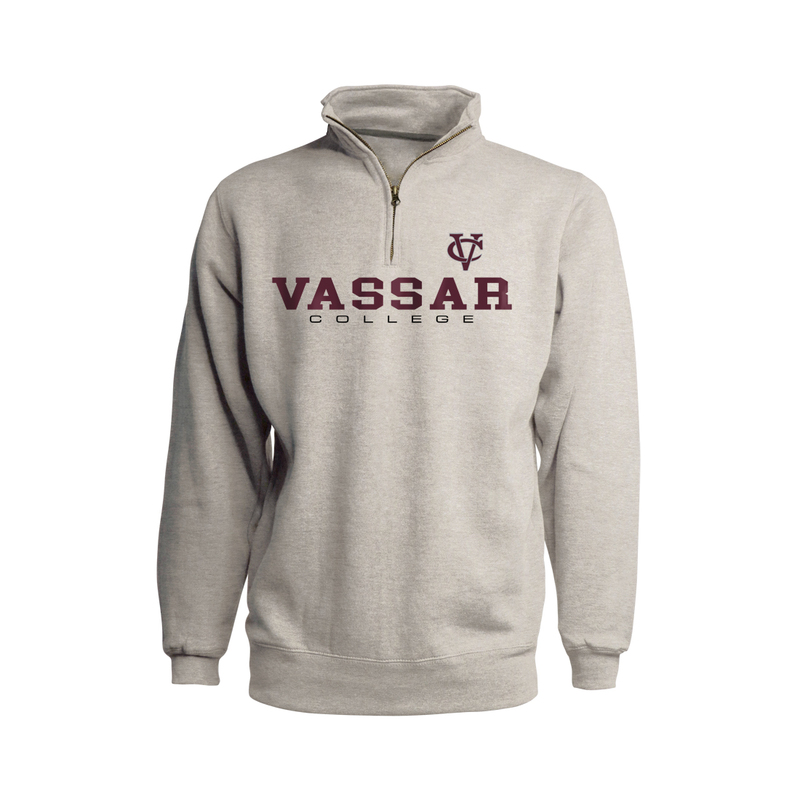 League fabrics are known for their softness, this hooded Tee shirt doesn't disappoint. 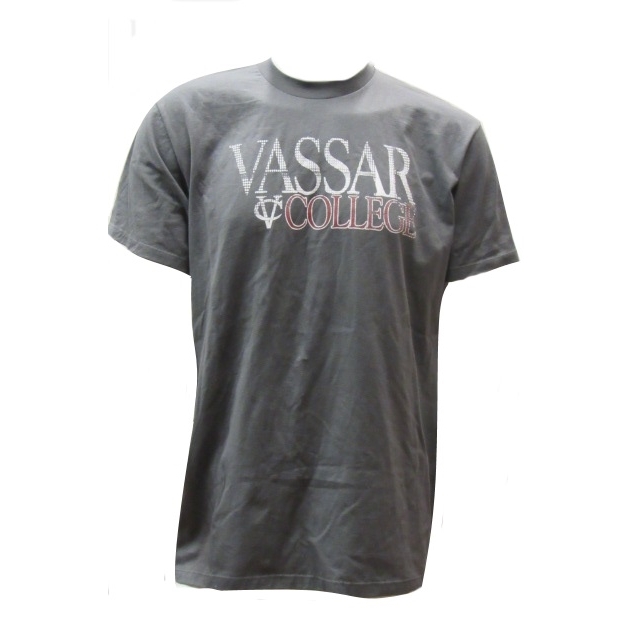 The design is reminiscent of Polo but is Vassar all the way. 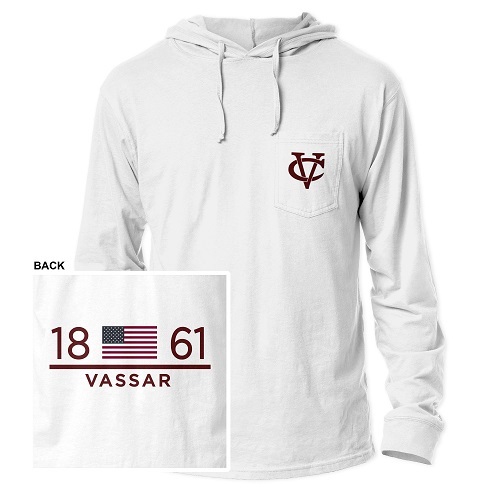 Please select option for LEAGUE HOODED POCKET TEE. If you are looking for a comfortable polo then the LEAGUE Jack polo is your shirt. 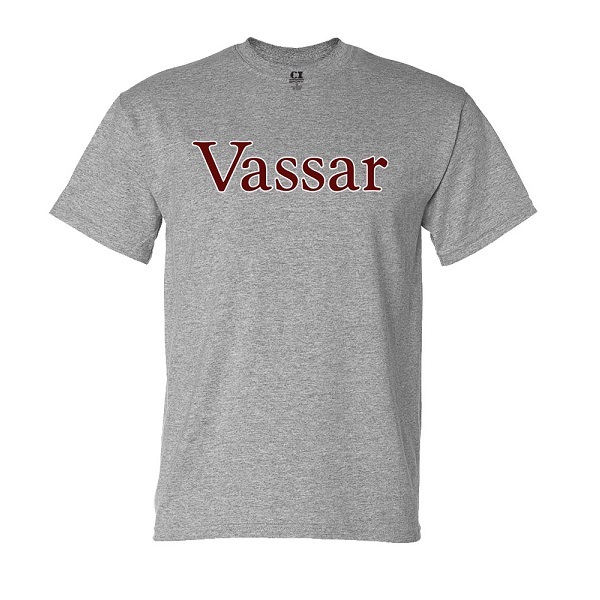 Available in two colors and fabricated of 100% cotton. This is not your father's Polo! 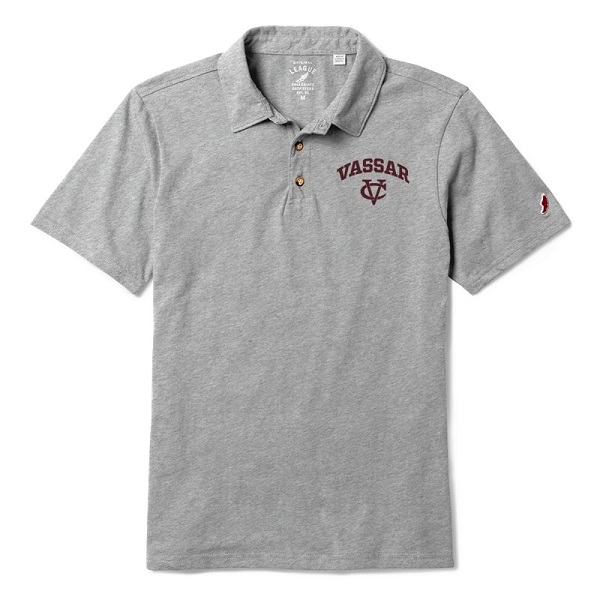 Please select option for LEAGUE JACK POLO TEE.